A native of poverty-stricken New Orleans, Miller moved from rapper to filmmaker with his straight to video release, “I’m Bout It” (No Limit Films). Revolutionizing the video industry, the independent release, which he wrote, directed and starred in, sold more than $1 million copies. Miller then went on to star in such Hollywood blockbusters such as Gone in 60 Seconds, alongside Angelina Jolie, Undisputed (with Wesley Snipes),Dark Blue (Kirk Russell) and Hollywood Homicide with Harrison Ford. 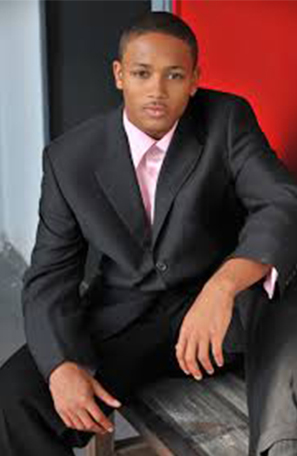 Miller’s oldest son, Romeo “Lil Romeo” Miller hit the music scene at age 11. His debut single “My Baby” unseated Michael Jackson’s spot as the youngest solo artist to top the Billboard Hot 100 Singles chart with his first single. Romeo is the oldest of 7 Miller children. Young Miller became the star of, “Romeo!” his own hit Nickelodeon sit com in 2003, which was a favorite on the network for three seasons. He went on to prove himself a serious actor the same year with a leading role in the Universal Picture blockbuster hit, Honey, alongside new Hollywood darling Jessica Alba. The film ranked #1 at the box office and was a sleeper hit of the year. Romeo is most recently known for the phenomenal performances he gave as a contestant on ABC’s “Dancing with the Stars.” He was eliminated in week 8 with an average score of 9 that week. In 2011, he appeared in the hit TriStar Pictures release Jumping the Broom alongside Paula Patton and Laz Alonzo, and in 2012 he starred in his first Tyler Perry film, Madea’s Witness Protection. Romeo is currently a business major at USC. Mediasavvy PR is a small results-oriented public relations and marketing firm specializing in entertainment. Get in touch with us today about your company or project! © 2014-2015 mediasavvy pr, nic. All Rights Reserved. Powered by: 24x7 Internet Technologies.